Flower-Shaped Scarf Holder Just $2.49 + FREE Shipping! You are here: Home / Great Deals / Amazon Deals / Flower-Shaped Scarf Holder Just $2.49 + FREE Shipping! I have a fabulous deal for all of you who have been looking for a way to organize your scarves – this Flower-Shaped Scarf Holder is just $2.49 + FREE shipping! This is such a great way to hang up all your scarves. I’ve been needing something like this rather than just hanging my scarves over the bar in my closet! Made of plastic and villi coated material in red color. Keep your scarves neatly organized. 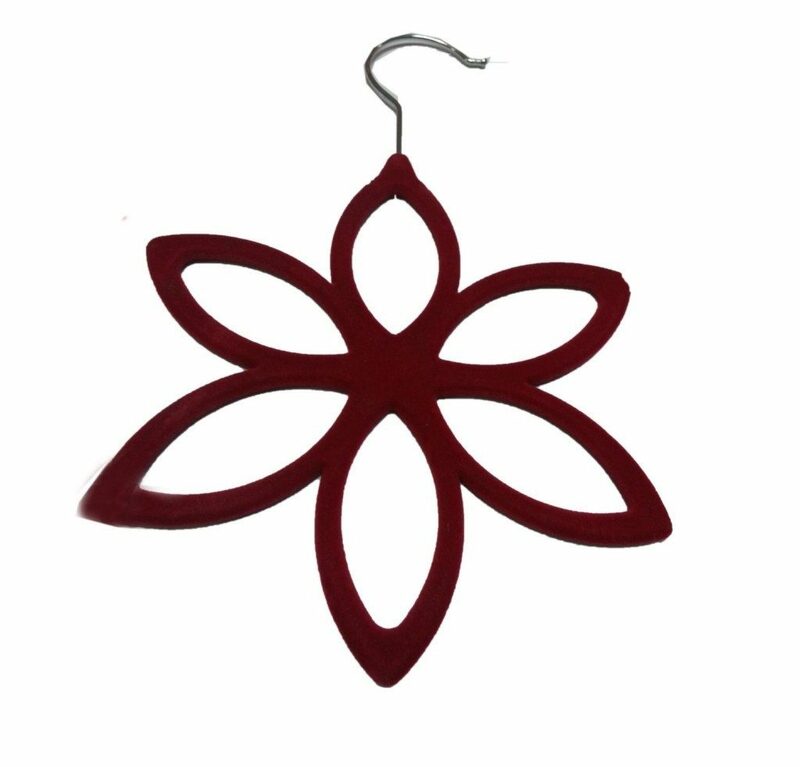 Flower shape design scarf hanger for convenient and practical daily use.